China's space station is falling to Earth. Here's everything you need to know. Where could the space station fall, and is there any danger to people on the ground? An out-of-control Chinese space station is expected to plunge to Earth in about a week. Experts say it’s extremely unlikely that large pieces of the school bus-sized Tiangong-1 will survive re-entry through the atmosphere, much less that any of these pieces would land on a populated area. But no one knows for sure. 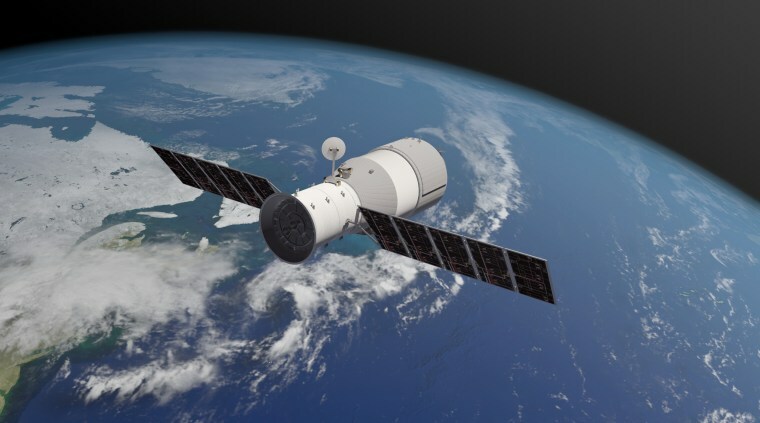 Tiangong-1 will likely fall from orbit sometime between March 29 and April 4, according to Andrew Abraham, a senior member of the technical staff at the Aerospace Corporation, a federally funded research organization based in El Segundo, California. Abraham has been tracking the 18,000-pound space station since 2016. Here’s everything you need to know about Tiangong-1 and its impending fall. Tiangong-1, which translates to “Heavenly Palace,” was launched in 2011 as a prototype space station. China sent two crewed missions to the outpost while it was still operational, but the space station has hosted no astronauts since 2013. In a 2017 update to the United Nations, China said Tiangong-1 had “ceased functioning.” It is assumed that China is unable to control or communicate with the station, though Chinese officials have not confirmed that. Why is it difficult to predict when the station will fall? Tinagong-1’s orbit has long been decaying — meaning that Earth’s gravity draws it a bit closer with each orbit it makes around our planet. As it draws nearer, it bumps into more and more air molecules, which slow the station and cause its orbit to decay even more precipitously. This drag force depends in part upon Tiangong-1’s position and whether the station is tumbling, which is hard to know for sure. And the density of the upper atmosphere fluctuates from one day to the next, Abraham said, which affects how much drag is exerted on the falling space station. Where could the space station fall? Based on Tiangong-1’s orbit, researchers say the space station will reenter the atmosphere between 43 degrees North and 43 degrees South latitude. It will be impossible to narrow down the location until a couple of hours prior to reentry. Although there are several major cities within the possible landing zone, including Los Angeles and Houston, debris from the station is likely to plunge in the ocean or on unpopulated land. “It’s more likely than not that this thing will reenter over an unpopulated area and it may be that no on ever sees it,” Abraham said. According to Aerospace, “the probability that a specific person (i.e., you) will be struck by Tiangong-1 debris is about one million times smaller than the odds of winning the Powerball jackpot." Only one person — Lottie Williams of Tulsa, Oklahoma — is known to have been hit by space debris falling to Earth. Williams was struck on the shoulder by a small piece of a rocket’s fuel tank in 1997 while out for a walk. She was uninjured. Will I be able to see anything? It might be possible to see streaks across the sky — similar to a meteor shower — at the time of reentry. But that depends, of course, on how close you are to the falling debris as well as the time of day and the amount of cloud cover, according to Abraham. Is it uncommon for a spacecraft to fall to Earth? It’s not at all uncommon for rocket parts, old satellites, and other bits of space debris to fall to Earth. To date, the largest structure to plummet through the atmosphere was the 268,000-pound Russian Mir space station, which made a controlled descent and splashed down in the Pacific Ocean in March 2001.